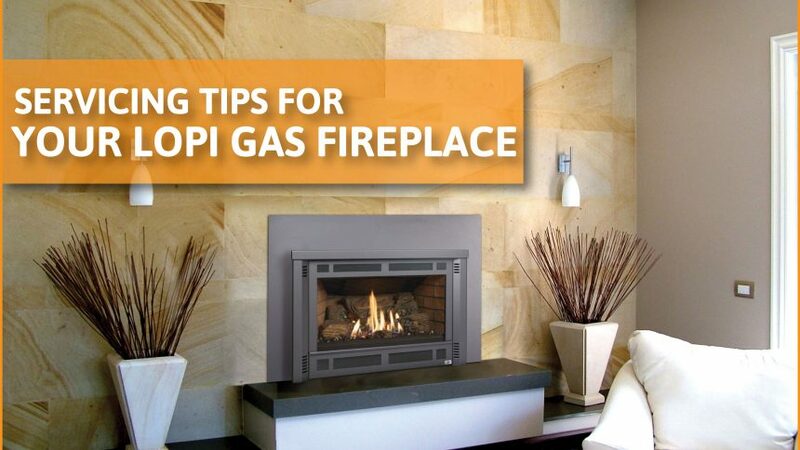 Servicing your Lopi gas fireplace is imperative to ensure it’s working at peak performance. Failing to do this can result in poor combustion and carbon build up. The built up carbon can produce nasty emissions that are harmful to human health. Leaking connections can be potentially dangerous and can turn your heater into a fire hazard. Lopi recommends servicing your fireplace annually. In this post we will give you a run down on all the steps necessary to ensure your Lopi is in tip top condition and ready for the next winter. This one of the most important steps. Remember safety first, second and third. Turn off the gas mains and make sure the pilot light is completely extinguished. Get the vacuum cleaner out with a brush tip. Thoroughly vacuum out all debris and built up carbon the best you can. If your fireplace has gas logs, remove them and give them a clean. A brush will do the trick. Wipe the down the inside with a damp cloth and remove any remaining soot and debris. Do the same on the outside. Use window cleaner to clean the outside of the looking glass. Don’t use the window cleaner for the inside. The chemicals in the cleaner can corrode the inside and can produce nasty emissions when you fire it back up. For the inside I find the scrunched up newspaper and a little bit of elbow grease does the trick. Check the burner plate for any blockages. If you do find any blockages remove them with a brush or wooden skewer. Blockages in your burner plate will cause your heater to run less efficiently so it’s best to get it sorted out as soon as possible. If you’re unsure in anyway, it’s better off left to a professional. The gas lines should be checked and cleared of any build up or blockages. Personally, I’d leave this one to the professionals unless you’re a plumber or have had previous experience. Inspect all other lines such as the pilot and mains. The valves should be inspected and if you find a damaged one, replace it. It doesn’t hurt to replace your valve after each winter. This will ensure your fireplace is ready to go when you need it most. Remove any covers then use a vacuum cleaner to clean out all the vents and remove any dust and carbon build up. Then give them a wipe out with a damp cloth. Inspect the gaskets and seals on the door and in the gas lines connections. If you notice that any have degraded or perished replace them to ensure that your fireplace correctly sealed and operating safely. If all this information is going over your head, you should definitely contact your licensed local plumber or better yet contact the people at Lopi and they will point you in the right direction of where to find someone in your area that can safely service your Lopi gas heater. Correct maintenance of your heater will make sure your fireplace lasts for many years to come and keep you toasty and warm all winter long. It’s a relatively simple procedure if you know what you’re doing. You are probably better off contacting a professional though, to ensure the job gets done properly and safely! They have the knowledge and the right tools on hand. The whole process takes about an hour and its relatively cheap way to make sure your heater is running silky smooth and most importantly, safely.